Good news: There are some excellent bipolar meditation techniques that science suggests could cure bipolar disorder. As a meditation teacher, several people have asked me: can meditation cure bipolar disorder? So I researched the science. One of the most recent breakthroughs in medical science has been the use of meditation for bipolar disorder. Bipolar disorder is an incredibly painful illness both for the individual with the condition and for their friends and family. But meditation can help. And thank God because, seriously, we need a cure for bipolar disorder like yesterday. There are specific meditation techniques for bipolar disorder, and there are certain ways in which people with bipolar disorder should meditate. What Are Bipolar Disorder And Meditation? Meditation is a health practice that involves focusing the mind on specific things. This include breathing techniques, physical exercises, and ways of thinking. Can meditation cure bipolar disorder? Many people ask me: Can meditation cure bipolar disorder? Science has proven that we can use meditation for bipolar disorder. There are specific bipolar meditation techniques to cure the problem, or at least to reduce the symptoms. In one study, participants with manic depressive disorder experienced improved executive functioning, memory, and ability to initiate and complete tasks. The study showed that an increased awareness of thoughts, feelings and sensations helped to decrease depression and increase cognitive functioning. Evidence shows that the best way for sufferers to improve their quality of life is by using bipolar meditation techniques. 1: You can use meditation for bipolar disorder to regulate moods. We can use meditation to regulate emotions and moods. The mental training that comes from praccticing meditation increases activation in the parts of the brain that manage emotions and moods. Bipolar meditation techniques, like mindful breathing, help to decrease mood swings and control emotions. Meditation also leads to more awareness, which can help manic depressives to avoid the highs and lows while maintaining a healthy, balanced mental state. Mood is significantly affected by lacks of dopamine, GABA, serotonin and other brain chemicals. Medication boosts those chemicals, but so too does meditation, and it does so without any side effects. You can also boost neurotransmitters by practicing yoga. 3: When you use meditation for bipolar disorder you become more aware of your own thoughts. When a person meditates, they learn to calmly observes their thoughts and moods. And they are able to detach from those moods. Therefore, meditation reduces our reactivity to emotional states. By practicing meditation, you become aware of your moods, detach from them, and take control of them. The prefrontal cortex is essentially the control terminal of your brain.
. The prefrontal cortex has a very significant impact on people suffering from various personality disorders like depression. Meditation helps to boost the prefrontal cortex, helping to lower the manias and control the depression. Meditation has been proven to be of great value to people suffering from bipolar disorder. Manic depressives who practice meditation are shown to take control of their mind, to suffer less severe highs and lows, and to find regularity to their moods. This empowers them to live healthy, normal lives. 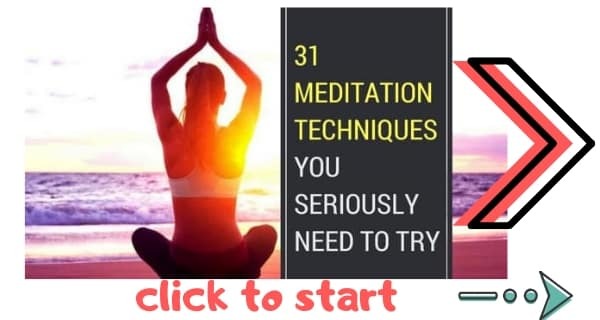 My guide to 31 meditation techniques (free) teaches you everything you need to know about meditation. Always consult your doctor before beginning. This information is for educational purposes only. Make sure you read my guide to the basics of meditation before you start. Seated breathing techniques are usually the best place for beginners to start. This is the easiest meditation technique to learn. Essentially you sit and focus your mind on your breathing. One of the common symptoms of bipolar disorder is that it makes it hard to control your breathing. 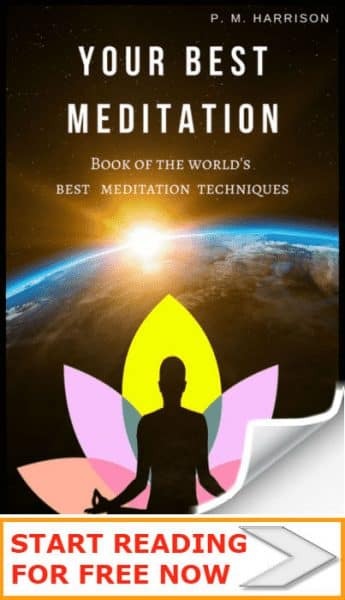 By using breathing meditations you can take control of your breathing. This will help you to relax when you have a mania. I’ve written a guide to breathing meditations to help you get started. Mindfulness is one of the most important of all meditation techniques. And one of the easiest. In mindfulness meditation you focus the mind on the present moment in a non-judgemental fashion. This helps your mind to relax and helps you to control your mood, which is very beneficial for bipolar disorder. Scientific research shows that Mindfulness-based cognitive behavioral therapy is particularly helpful. 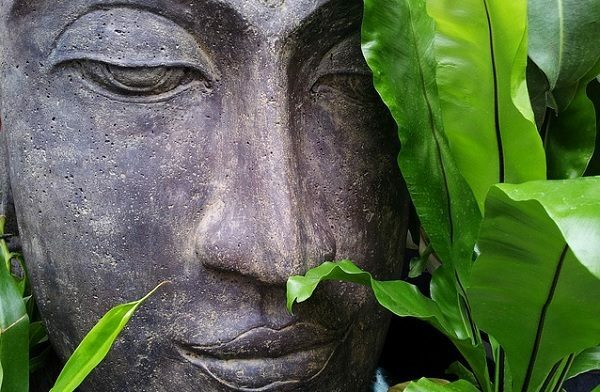 one of the best meditation techniques for bipolar disorder is Zen. Zen meditation is very similar to breathing meditation. What makes Zen meditation different is that it uses specific body postures that are said to make you relax more easily. Zen is also one of the most famous of all meditation techniques, which is why it’s often the first one people try. Zen meditation will help with bipolar disorder because it helps you to focus and to create inner balance. Zen meditation completely closes you off to external stimuli. This is very helpful because bipolar events are often triggered by external stimuli like noise . I’ve created a beginners guide to Zen meditation to get you started. The most basic type of movement meditation is a walking meditation, which is used a lot in Zen practices. This is a gentle and slow paced technique which is excellent for general relaxation. Think about the last time you went for a long walk and how relaxing that felt. Now times that by ten and you’ll be somewhere near how relaxing twenty minutes of zen walking is. Walking meditation is a fantastic way to silence your thoughts. And that’s very helpful for people with bipolar disorder. Bipolar disorder can be triggered by racing thoughts  so by slowing your thoughts down you can begin to take control of bipolar disoder. You can read my guide to Walking Meditation here. Meditation can cure bipolar disorder, science suggests. Can meditation cure bipolar disorder? Science suggest it might be able to. But always make sure that you are comfortable and that it is safe to practice meditation. I urge you to speak to a doctor before trying these meditations. My Ultimate Guide To Using Meditation For Depression has extra info that will help.